During the hustle and bustle of the holiday season, prospective home buyers and sellers are often too preoccupied to enter the housing market. Some people are busy with their kids and in-laws, while others just want to relax and enjoy the holidays. 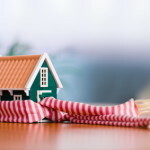 This, as you might expect, has a noticeable impact on the rate of home sales, which typically slow during the winter season. 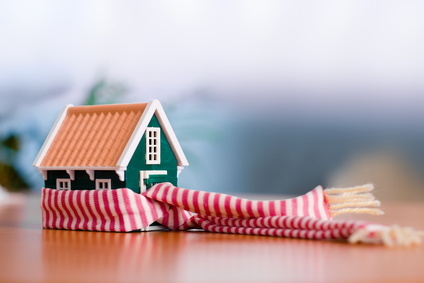 If you happen to be in the market for a new residence or would like to sell your home, the winter months can be an excellent opportunity to capitalize on a less crowded market. Prospective buyers, for instance, often end up getting a better price during the holidays because sellers are more likely to be motivated. However, that doesn’t mean those who looking to list their home are at at disadvantage. Come winter, sellers have the benefit of dealing with more serious buyers, while also having less competition from other listings. Listed below are some reasons to buy or sell a home during the holidays. Mortgage rates are still relatively low. Motivated sellers could mean more favorable terms. The end of the year is a good time to switch schools or start a new job. Buyers can qualify for tax deductions if they purchase a home before Dec. 31. Closings can be faster during the holidays because there are fewer real estate transactions. Showings and closings can easily be scheduled around holiday celebrations. People have more time to look for houses during the holidays. Prospective buyers can tour homes throughout the week, instead of just on weekends. During the holidays, buyers can often be more emotional. If it’s the right house, they may end up spending more than they initially intended. Although homes sales do slow during winter, the season still accounts for a large portion of San Diego’s real estate transactions. In the past four years, San Diego County homes that have sold during the winter season have accounted for 22% of the area’s annual sales. Keep in mind, escrow normally takes about 30 to 45 days to close. That means homes that open escrow from Thanksgiving through Christmas likely won’t close until sometime in 2014. Regardless of when you decide buy or sell a home, Greater Good Realty can help. To find out what we can do for you, give us a call at 619-GREATER (473-2837) or visit greatergoodrealty.com.